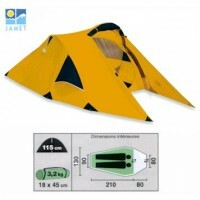 The Gelert Vector 4 is a vis-à-vis tunnel tent that is perfect for the family on a budget or for those trying camping for the first time. 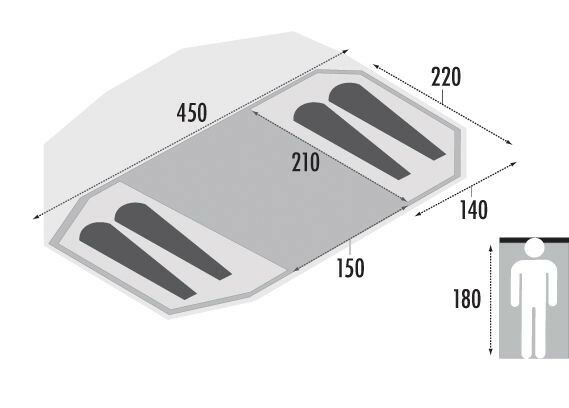 Vis-à-vis means there are two bedrooms facing each other at opposite sides of the of the tent - this is an ideal bedroom configuration for those who want an extra bit of privacy (for afternoon shinanigans) or for those who simply prefer the living area to be between the two bedrooms. The structure of the Vector 4 is simplicity itself with a series of four fibreglass poles forming the basic but spacious tunnel shape. 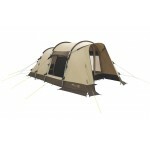 Inside the tent is a fully sewn-in groundsheet to keep out the drafts, dirt and any bugs and you simply hang the bedroom inner tents and all is complete. The Vector 4 sleeps four people in two 2-berth bedrooms and it features a side door and side windows to let in plenty of light. 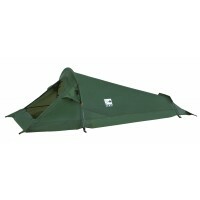 A footprint groundsheet (optional extra) that is available for this tent will sit under the tent and keep your sewn-in groundsheet clean and give added protection. A living area carpet is also available (optional extra) to add that little bit of comfort amd warmth. 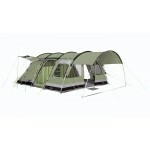 The technical features of the tent include: 2 sets of 11mm fibreglass poles, 2 sets of 9.5mm fibreglass poles, mesh panel on side door, pitched flysheet first, pre-attached guylines, 190T fire retardant 190T polyester flysheet with a waterproof PU coating and fully taped seams providing 2000mm of hydrostatic head protection. 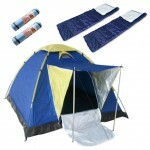 The inner tents are 190T breathable polyester and the sewn-in groundsheets to tent and inners are polyethylene. 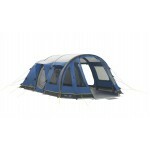 Gelert Vector 4 Family Tent .